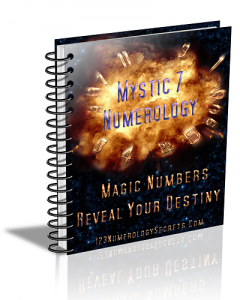 In Numerology analysis, there are three important phases of your personality. 1st, the inner nature, with its likes and dislikes, viewpoints, inten­tions, ideals and standards. With this basis you consciously or unconsciously judge everyone and everything you meet. 2nd. Your general appearance, or physical type through which you impress strangers in ways favorable or unfavorable to your success. 3rd. Your general temperament, through which you outwardly respond to the people and things around you. This phase is used as a vehicle for your ideas and to show your nat­ural abilities. In Numerology, the first name in the series of two or three which with the family name comprise the complete name received at birth, carries in its letters and numbers a stronger indication to the nature of the real self, the ego. The vowels of this first name are therefore of special importance to the Numerologist who wishes to read character by names and numbers, and the most important vowel of all is the first vowel of this first name.